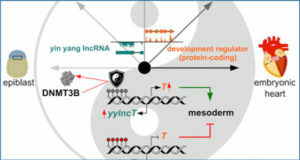 Long non-coding RNAs (lncRNAs) have been implicated in normal cellular homeostasis as well as pathophysiological conditions, including cancer. 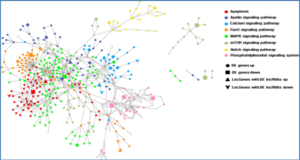 Harvard Medical School researchers performed global gene expression profiling of mammary epithelial cells transformed by oncogenic v-Src, and identified a large subset of uncharacterized lncRNAs potentially involved in breast cancer development. 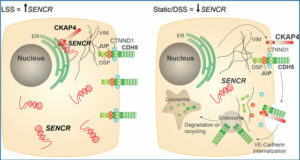 Specifically, their analysis revealed a novel lncRNA, LINC00520 that is upregulated upon ectopic expression of oncogenic v-Src, in a manner that is dependent on the transcription factor STAT3. Similarly, LINC00520 is also increased in mammary epithelial cells transformed by oncogenic PI3K and its expression is decreased upon knockdown of mutant PIK3CA. Additional expression profiling highlight that LINC00520 is elevated in a subset of human breast carcinomas, with preferential enrichment in the basal-like molecular subtype. ShRNA-mediated depletion of LINC00520 results in decreased cell migration and loss of invasive structures in 3D. 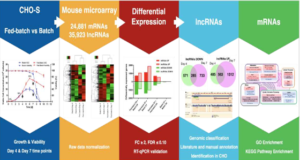 RNA sequencing analysis uncovers several genes that are differentially expressed upon ectopic expression of LINC00520, a significant subset of which are also induced in v-Src-transformed MCF10A cells. 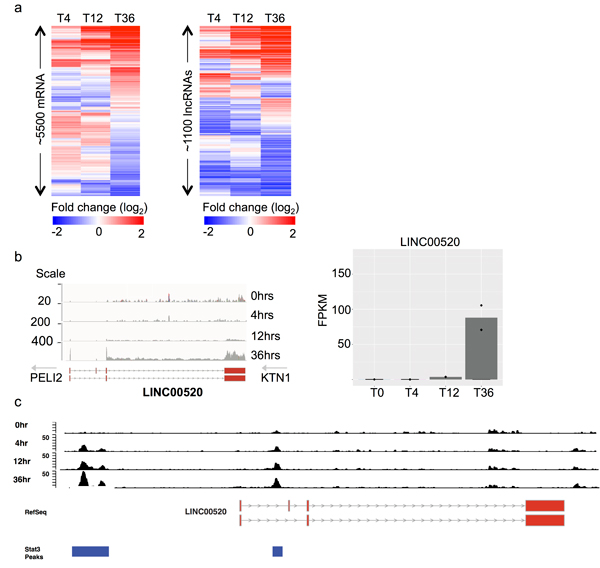 Together, these findings characterize LINC00520 as a lncRNA that is regulated by oncogenic Src, PIK3CA and STAT3, and which may contribute to the molecular etiology of breast cancer. a. 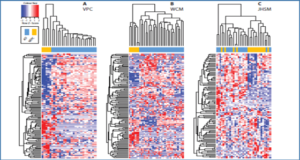 Heat maps showing subset of protein coding genes and long non-coding RNAs that are differentially expressed at 4,12 and 36 hours post Src induction, in MCF10A cells. 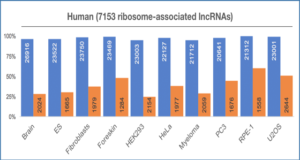 b. RNA Sequencing, relative expression of LINC00520 at various time-points post Src induction in immortalized mammary epithelial MCF10A cells. FPKM, fragments per kilobase of transcript per million mapped reads. c. STAT3 ChIP enrichment in MCF10A cells post Src induction, at the LINC00520 locus.